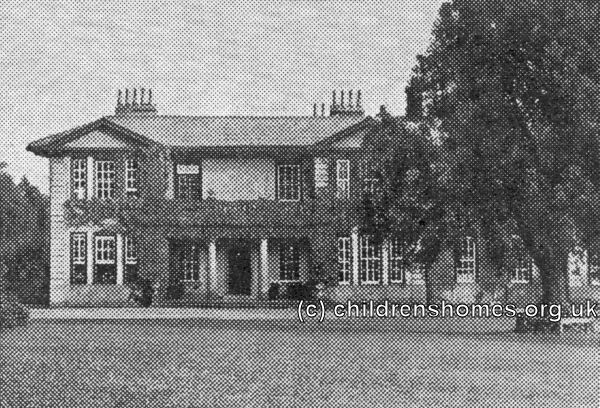 In 1943, Barnardo's evacuated its Bruce-Porter Hospital Home to a large old house known as Hollins on Lund Lane between Hampsthwaite and Killinghall, near Harrogate. In September 1947, with the return of the Bruce-Porter Home to its original base in Folkestone, Hollins Hall continued in a similar role as a convalescent home under the name of the Ian Tetley Memorial Home. By 1975, the home had its own a heated swimming and hydrotherapy pools. 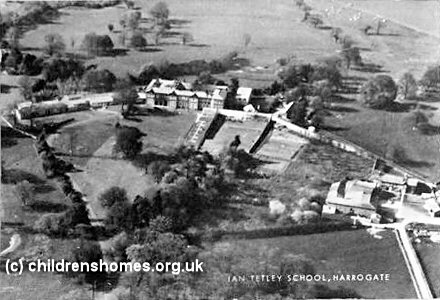 Ian Tetley Memorial School, Hampsthwaite, 1950s. The home was closed in 1999. The site has now been redeveloped as a retirement village with all the old buildings demolished.